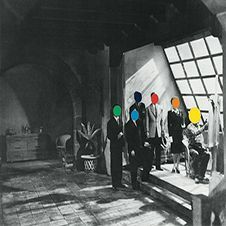 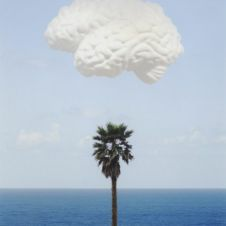 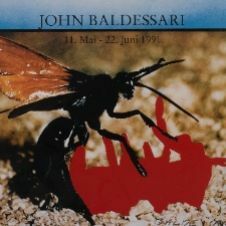 John Baldessari was born on June 17th 1931, in National City, California. 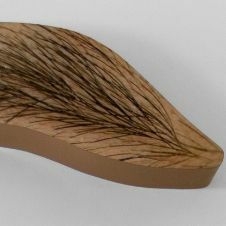 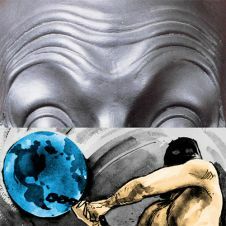 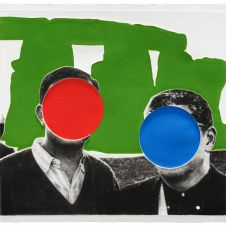 In his works, the artist primarily deals with image and language topics and the interplay of these two forms of expression. 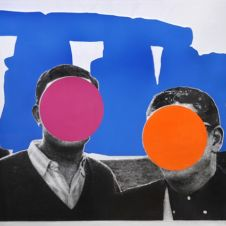 He uses various techniques from painting to printing and by that was one of the first to lead pop art into conceptual areas. 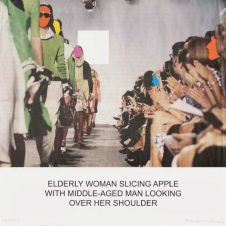 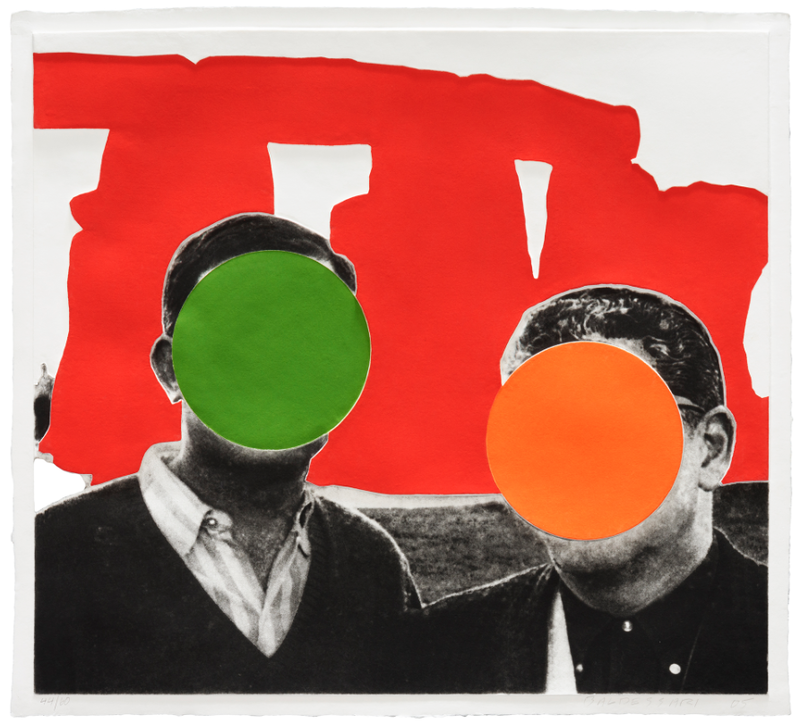 The lithograph „Two Assemblages“ (with R, O, Y, G, B, V Opaque) shows a typical Baldessari handling of images which he initially deconstructs, rearranges and finally recounstructs them with new visual content.